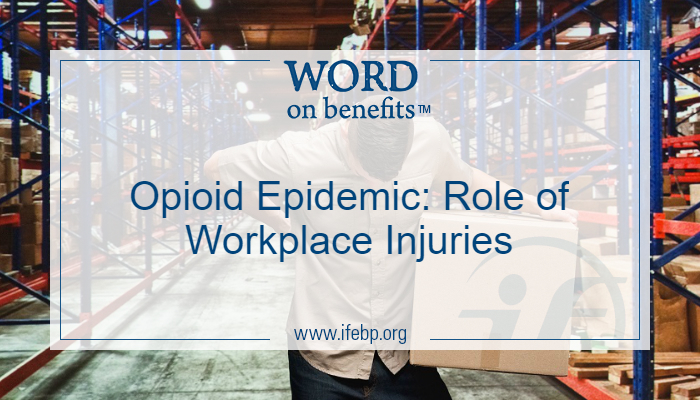 Private employers reported 2.9 million nonfatal workplace injuries and illnesses in 2016, and it’s likely that some of those employees received prescriptions for an opioid to manage their pain. 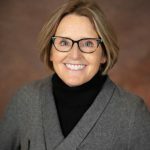 In fact, research shows that workers’ compensation insurers spend about $1.54 billion annually on opioids, representing about 25% of pharmacy costs related to workers’ compensation, said Maureen Joy, health care specialist and occupational therapist for insurance broker R&R Insurance Services. Joy was a featured presenter during the “The Opioid Epidemic . . . Is Your Workplace Prepared?” virtual conference presented by MRA-The Management Association and the International Foundation of Employee Benefit Plans. R&R Insurance works with about 50 workers’ compensation insurers, and Joy shared best practices for managing workplace injuries and preventing opioid abuse. Joy discussed the roles of both the insurance carrier and the employer in preventing opioid abuse by a worker who’s been injured on the job. Generate and review pharmacy usage reports. Red flags in such reports include multiple prescriptions within the first 60 days of an injury, multiple providers prescribing opiates to the same patient, multiple refills of opiates in the first three months and a prescription of a morphine-equivalent dose. Review opioid use and increase education. Insurers are using programs like early detection nurses or nurse case management to make sure someone is reviewing employee medical records and discussing treatment options. “Many of the insurance carriers are bringing physicians on staff full-time to do peer-to-peer education on neuropathic medication,” Joy said. Claims adjusters also are being educated about recognizing red flags among injured employees. Alternative treatment for pain management, such as acupuncture, chiropractic care and physical therapy, can be viable alternatives to prescription painkillers. Employers should look at where their employees go after an injury. If they typically head to the emergency room or an urgent care clinic, the doctors there “really don’t have the opportunity to gain a lot of insight into what’s happening, and that prescription pad is the first route that they go,” and then they’ll tell employees to follow up with their own physicians. “Do you have employees who have a tendency to report injuries and immediately seek treatment or maybe not even tell you that they’ve had an injury and are seeking treatment?” Joy said. Those workers should be red-flagged, and the employer should ask the insurance carrier to run a prescription utilization report. Employers also should review their hiring practices and drug-testing policies. Employers should have a nurse triage line and set up a relationship with an occupational medicine clinic or a local physician. Those health care providers can spend more time with an injured worker than an emergency room physician can, Joy said. Employees should be asked to bring a medical slip back to the employer after they meet with a doctor, to encourage face-to-face conversations about medication and equipment use. Employers should look at their safety-sensitive positions and make a determination about drug testing. Employers also should be open to alternative treatment for acute pain. “You have to have an understanding that some of these services will require time away from work,” she said. For example, an employee may need to put ice on an injured area throughout the day or take more frequent breaks to manage the pain. Establishing a return-to-work program to help employees transition back to work is important, as is making sure employees are aware of and have access to an employee assistance program (EAP), if needed, Joy said. Create a culture of workplace safety. Creating a culture of workplace safety will help prevent workplace injuries from happening in the first place, Joy explained. “You want to start asking yourself, ‘What are we doing from a proactive standpoint? How are we preventing those injuries in the workplace? What is the culture of our organization that can impact the morale of employees when they get hurt?’ ” she suggested.